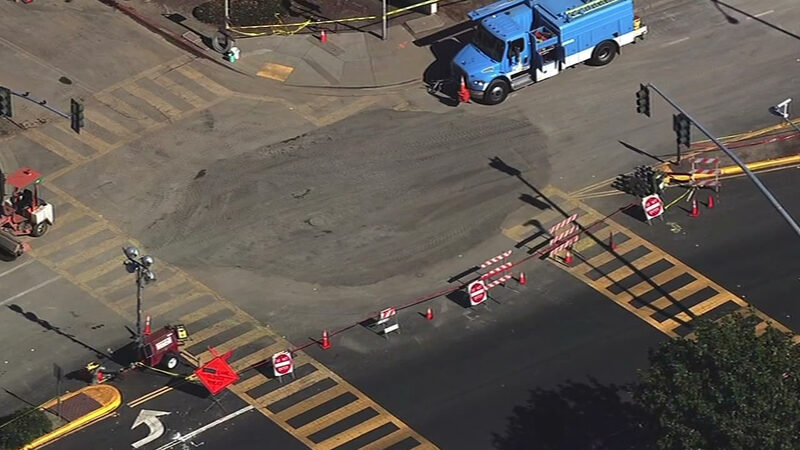 UNION CITY, Calif. (KGO) -- Crews have filled a large sinkhole in Union City that opened last week. Work went on day and night after that sinkhole began to open at Alvarado Boulevard and New Haven Street last Wednesday. It grew to a size of 35 feet by 40 feet. Crews also needed to replace utility lines before they filled the hole. Officials don't know what caused the sinkhole to develop. Northbound lanes on Alvarado Blvd are closed btwn Fair Ranch Rd & Fredi St until further notice due to a sink hole. PW crews are on scene.